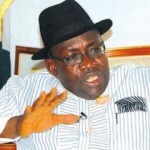 (AFRICAN EXAMINER) – Governor of Bayelsa State, Henry Seriake Dickson, has called on President Muhammadu Buhari to prevail on his Minister of State for Agriculture, Senator Heineken Lokpobiri, and the leader of the All Progressives Congress in the state, Timipre Sylva, to stop sponsoring killings and destabilizing the peace of the state. The Governor also called on President Muhammadu Buhari to prevail on his party leaders to stop aiding criminals and their harmful activities in the state. 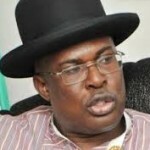 The Governor said he was of the view that the President Buhari might not be aware of the activities of Lokpobiri and Sylva, which he said are inimical to peace and stability. He accused them of conniving with some elements in Abuja to sponsor activities against the peace, security, stability and development of Bayelsa. 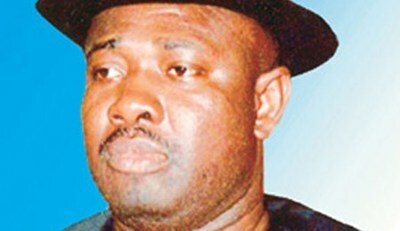 Dickson also advised Bayelsans to resist any attempt by any group of persons to turn the state into a killing field. A statement signed by the Commissioner for Information and Orientation, Mr. Daniel Iworiso-Markson, quoted Governor Dickson to have made the comment while speaking at the monthly transparency briefing in Yenagoa on Thursday. 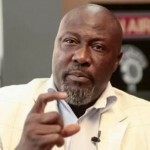 “I have issued statements before calling on the President òf the Federal Republic òf Nigeria to call his party leaders in this state to order, especially his Minister for State, Heineken Lokpobiri, Who is the one that has armed and equipped the people that have subjected communities to this level of insecurity. “All the guns and equipment they have been using to terrorize the people are provided by Lokpobiri. I have evidence that by the 3rd of January, this Kareowei and his killers from Ekeremor were celebrating together. The Governor, who also spoke on the efforts of his administration to improve healthcare in the state, declared free medical treatment for all pregnant women in Bayelsa. According to him, the state government would ensure the creation of a database for all such women under the new programme. 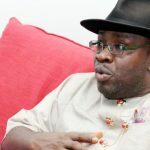 He said further that over 300,000 individuals and families had been captured in the Bayelsa Health Insurance Scheme apart from those with more than one wife. The governor also said that the state government had taken a decision to take over the payment of salaries of primary school teachers with effect from January. Dickson declared that the funds meant for the payment of the salaries of the primary school teachers would be put on the first line charge in order to remove the burden of paying the teachers from the various councils. He said that teachers would be retrained to make them more effective and productive and that the government has sent a bill for the constitution of the Bayelsa Teachers Retraining and Recertification Board to the State Assembly.